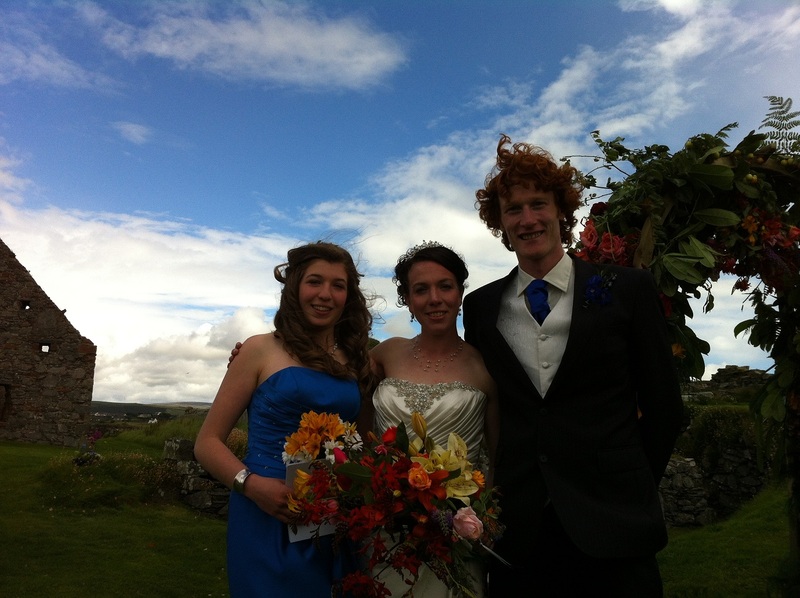 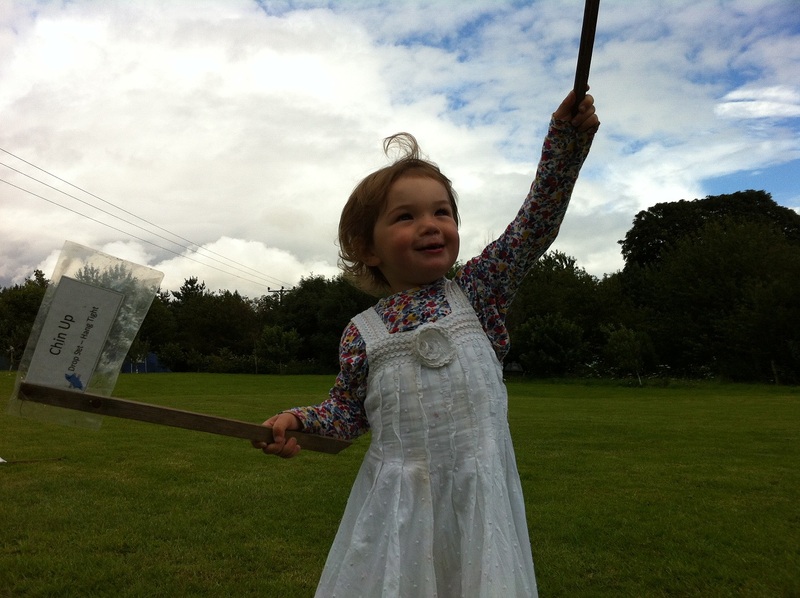 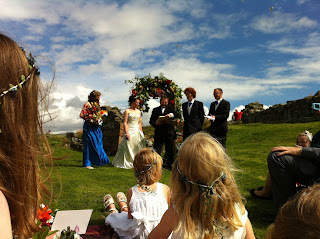 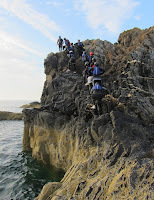 As most of the folk were outdoor professionals, it was an entertaining adventurous, with all sorts of fine antics! 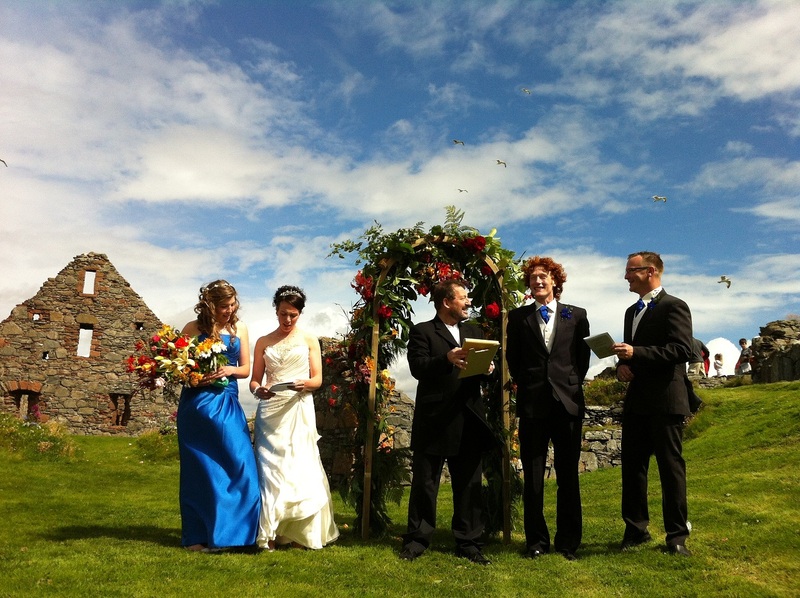 Which followed by a sumptuous repast back at Ballabrooie, and the Ceilidh and DJ playing till the early hours in the marquees!! 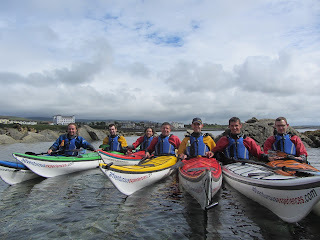 Sunday morning's Corporate Paddle from Port St Mary. 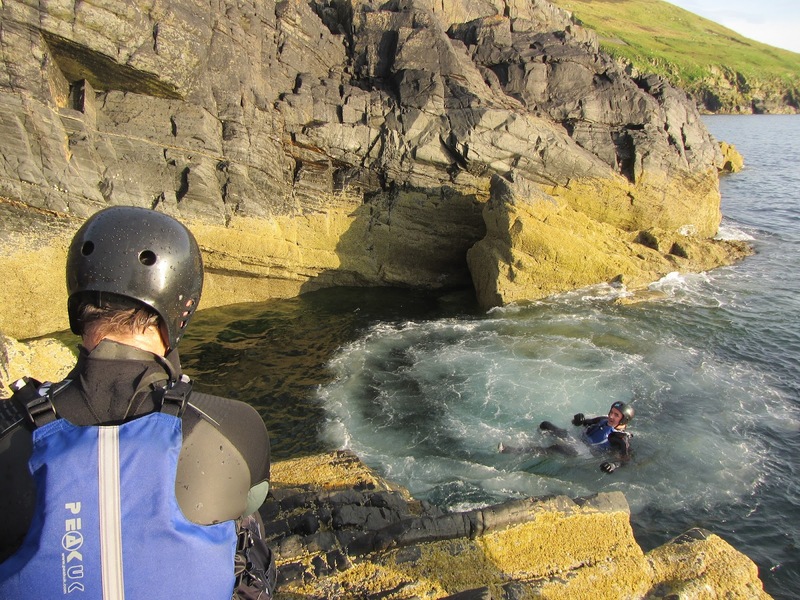 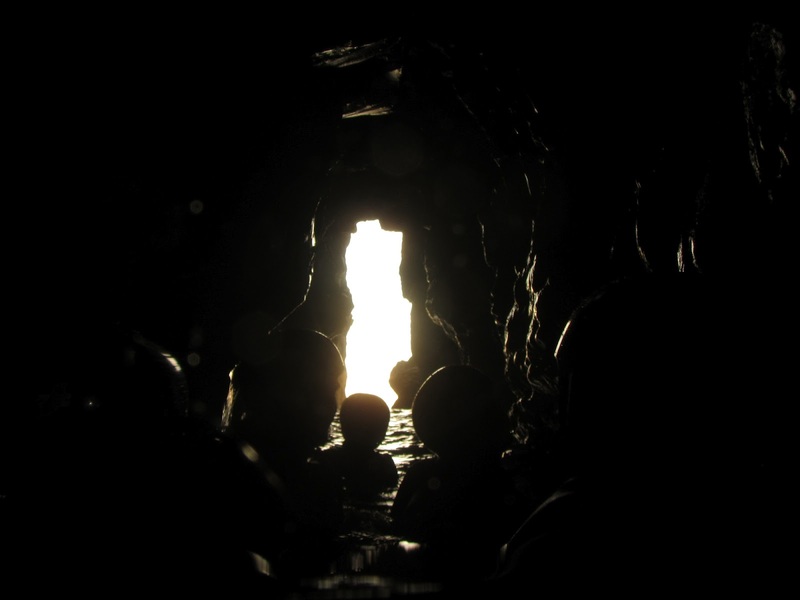 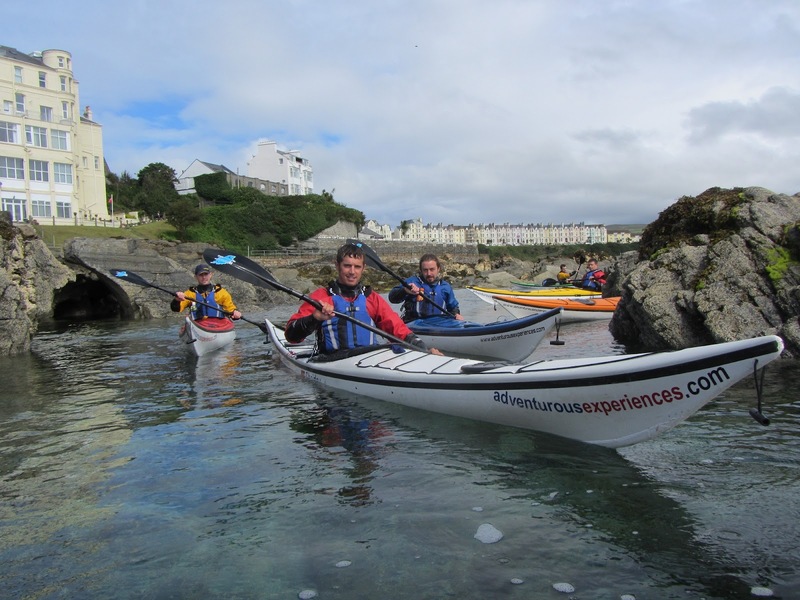 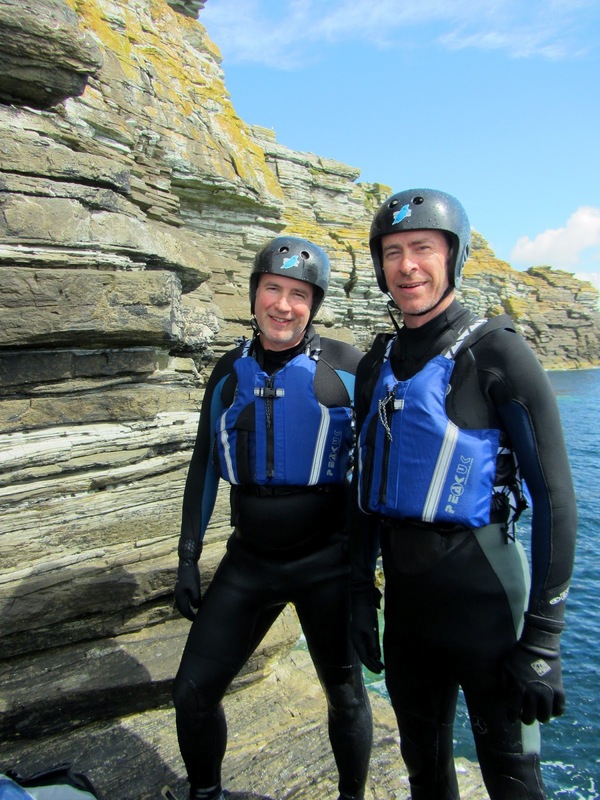 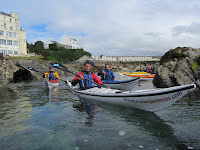 Sheltered from the conditions on the West Coast, ideal for absolute beginners experiencing paddling for the first time, as well as those who have done a bit, learning new things. A journey on the South Coast with Andy North..
ps. As i'll be away coaching in Finland for a few days, John, Andy and Gez are looking after things till the Sam, Becca and Kim return from Vancouver Island at the weekend. 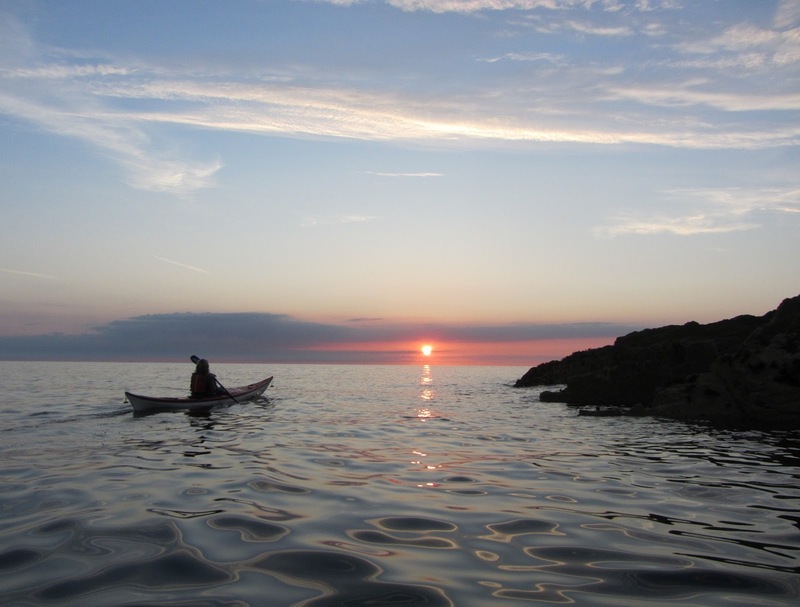 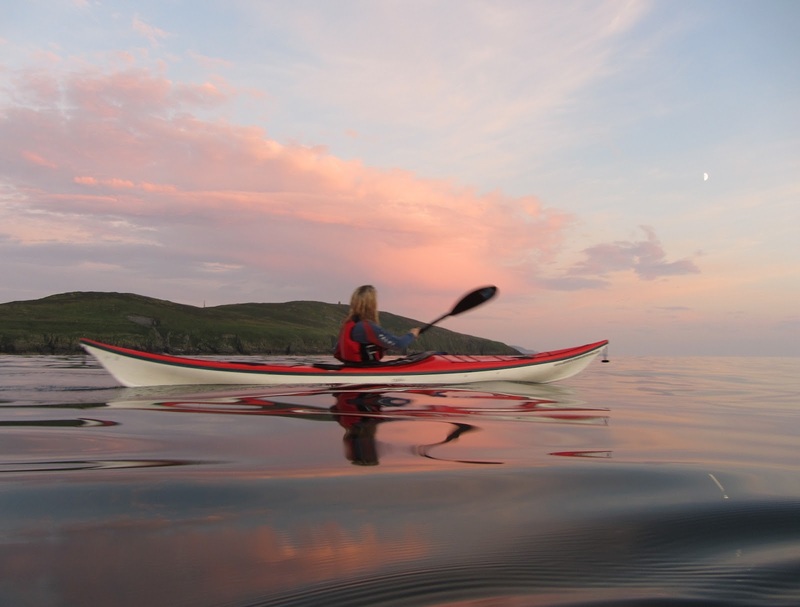 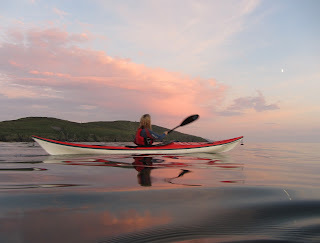 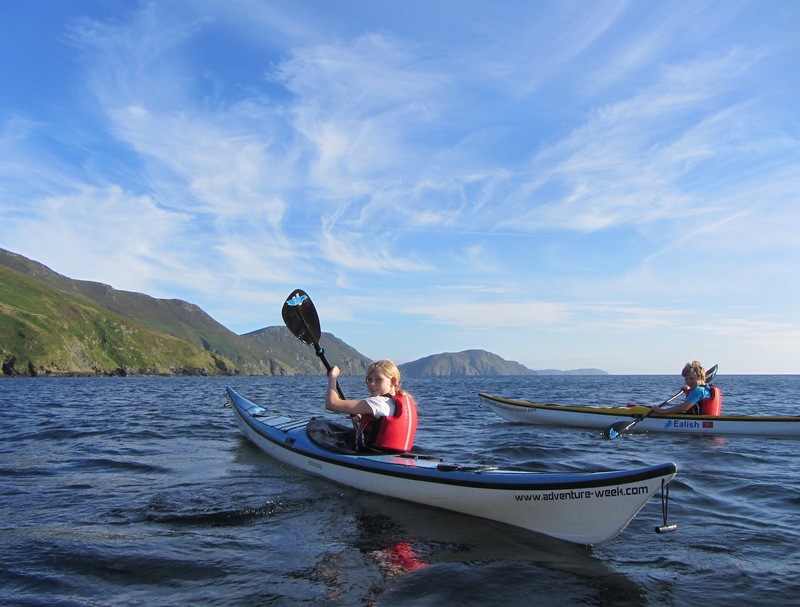 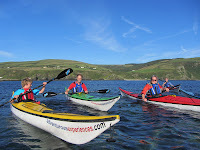 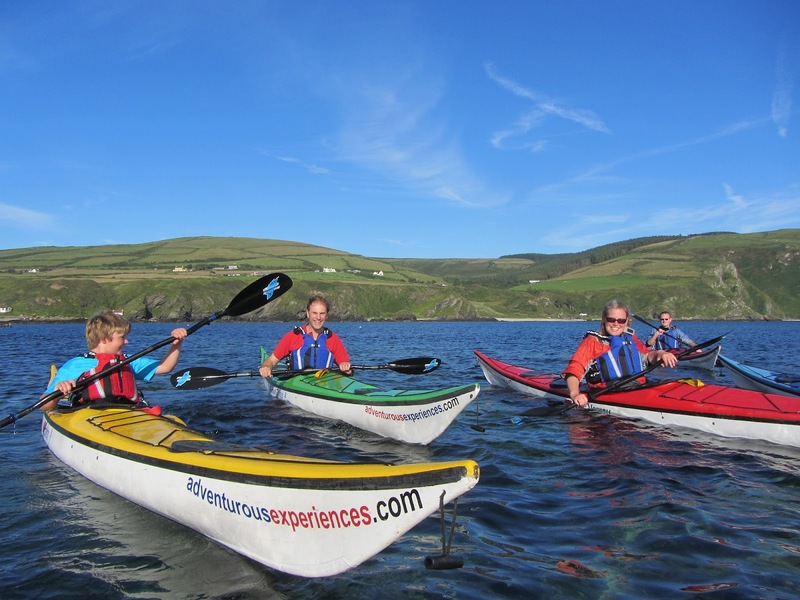 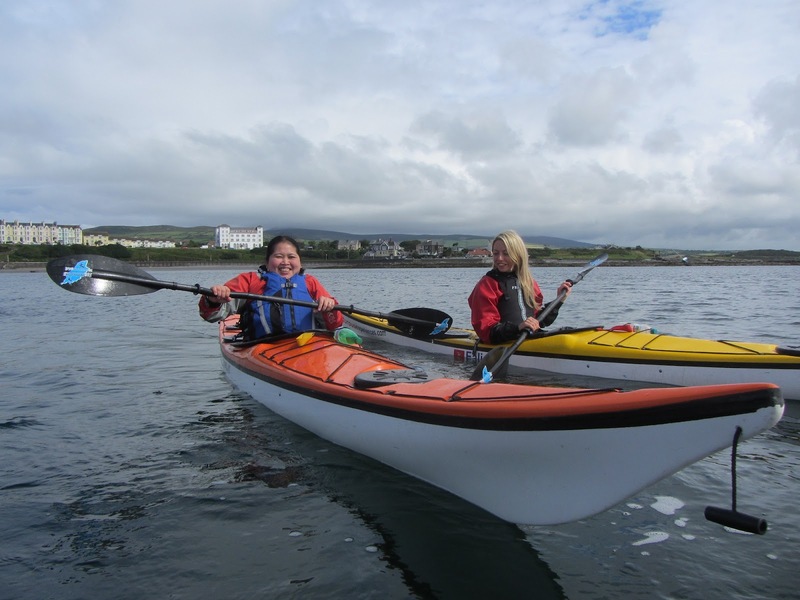 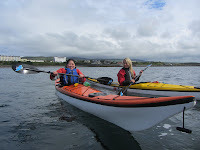 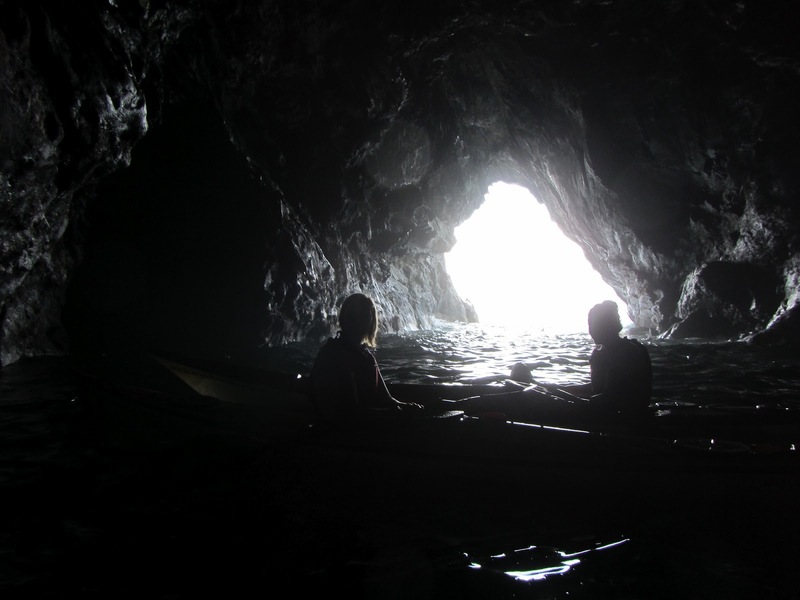 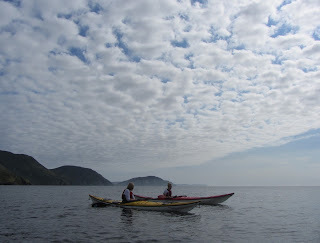 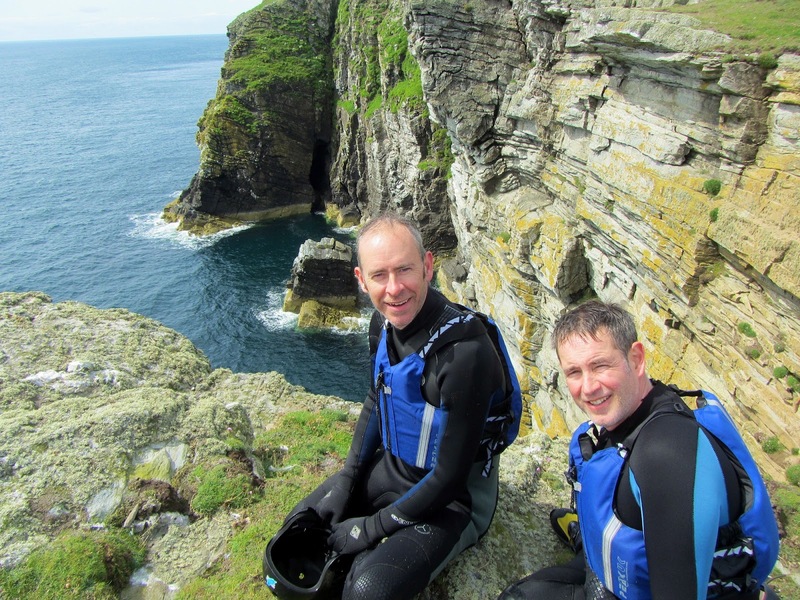 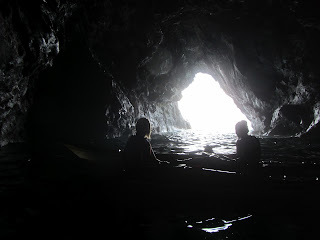 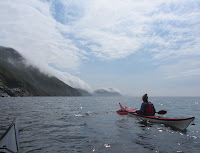 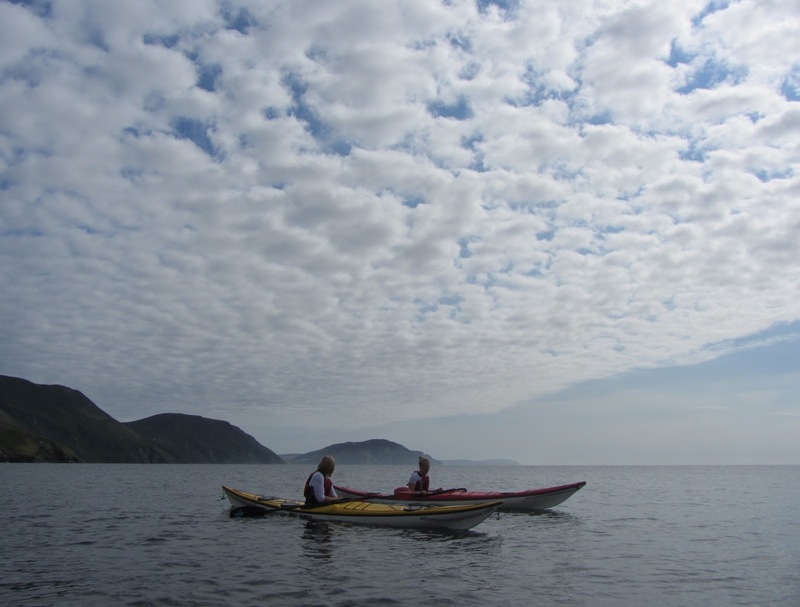 A family sea kayak trip from Niarbyl, on the West Coast of the Isle of Man. ps. 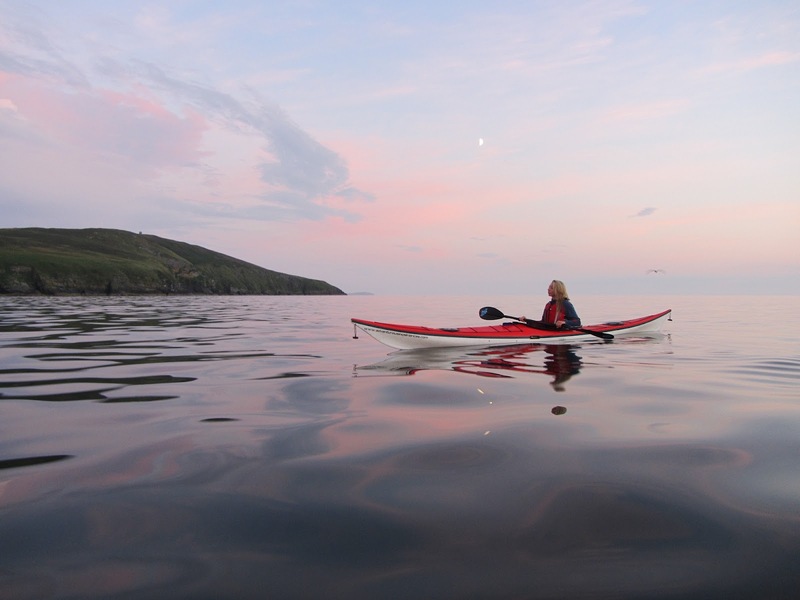 watching a large Basking Shark further off Peel Castle last night, after finishing our Coasteering session... sightings daily now. 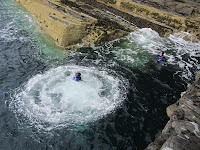 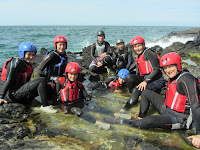 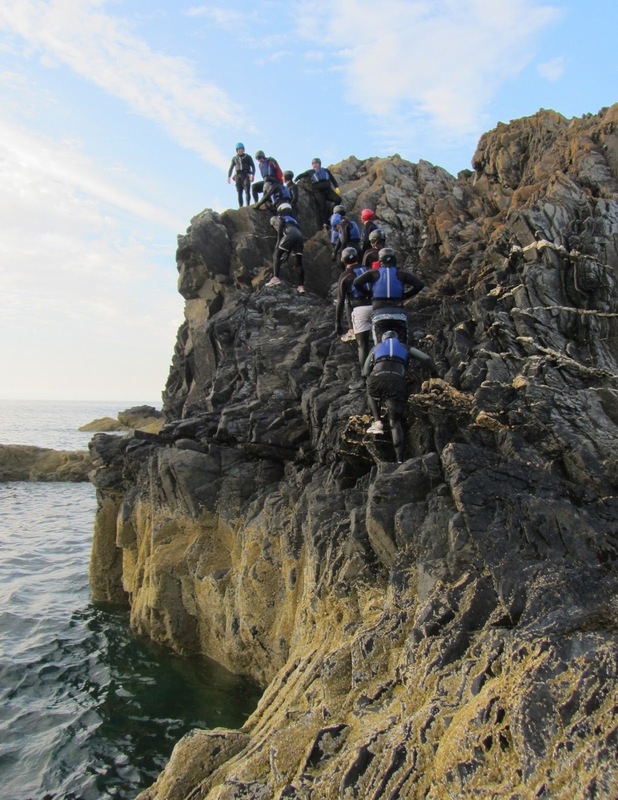 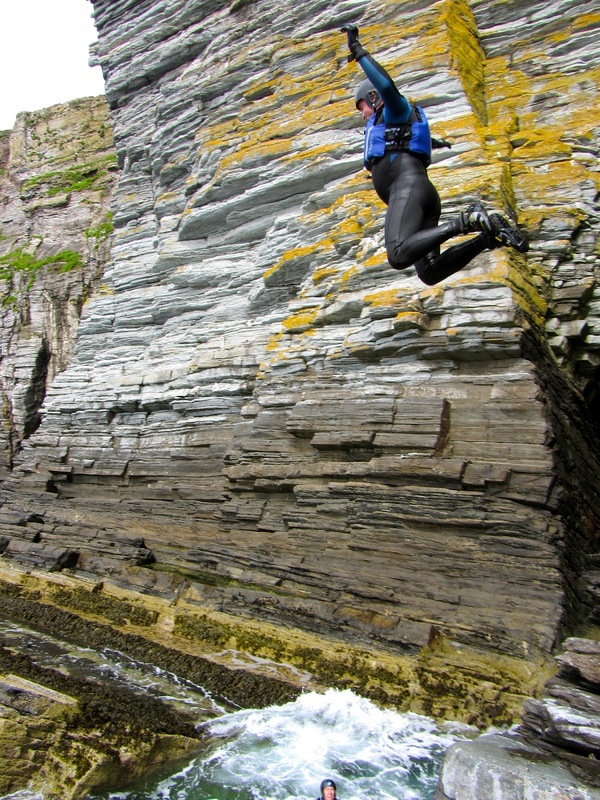 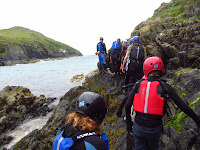 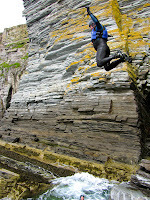 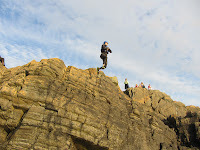 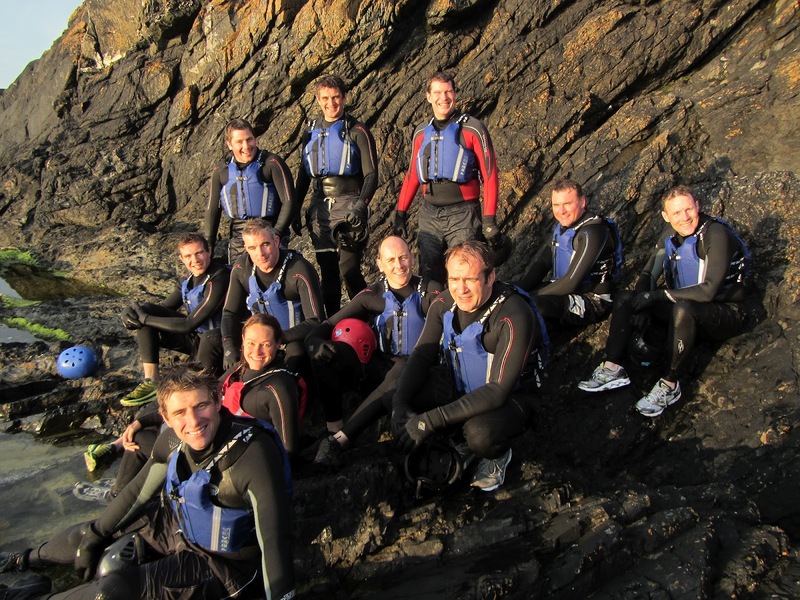 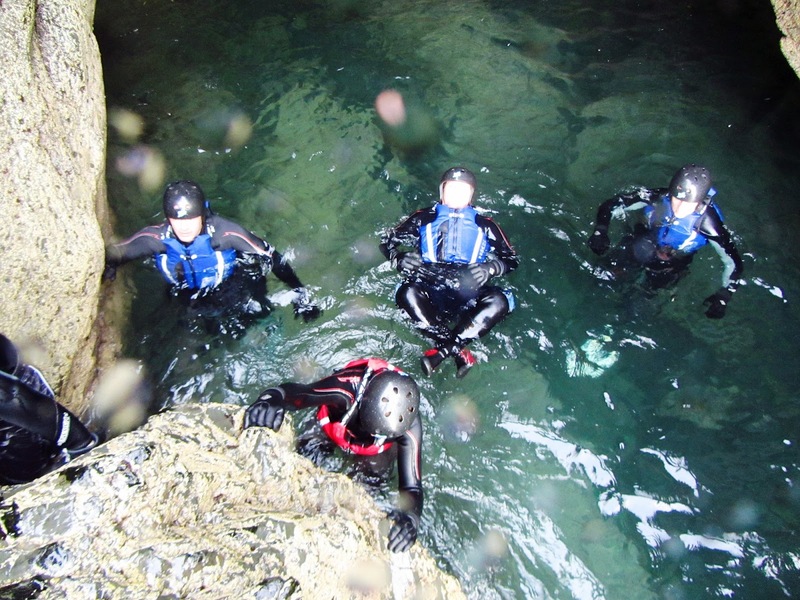 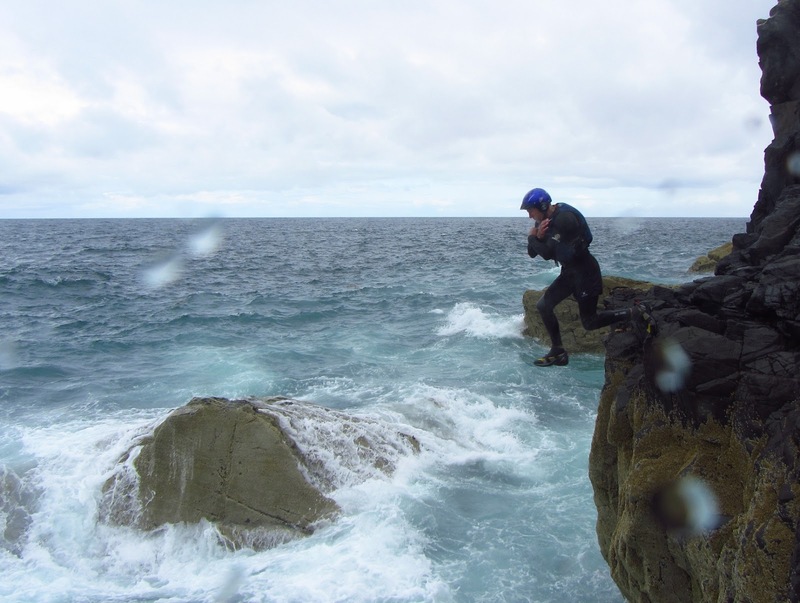 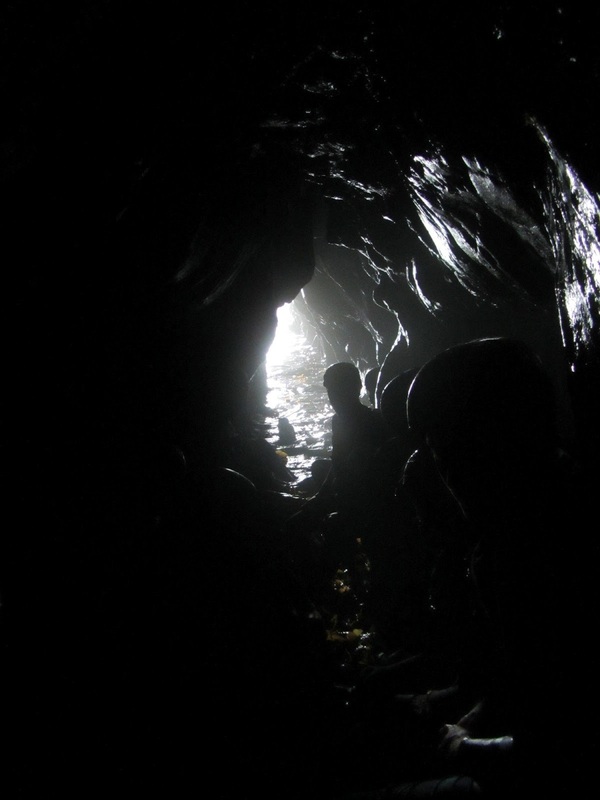 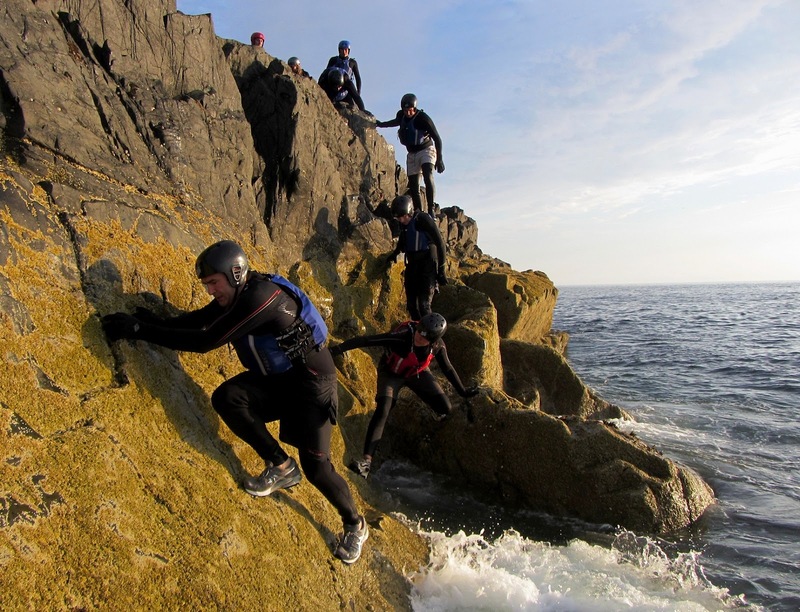 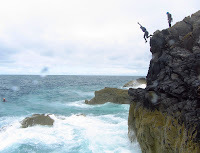 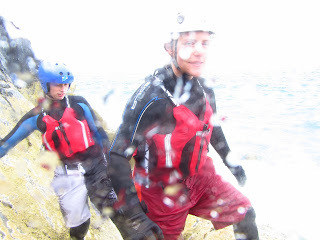 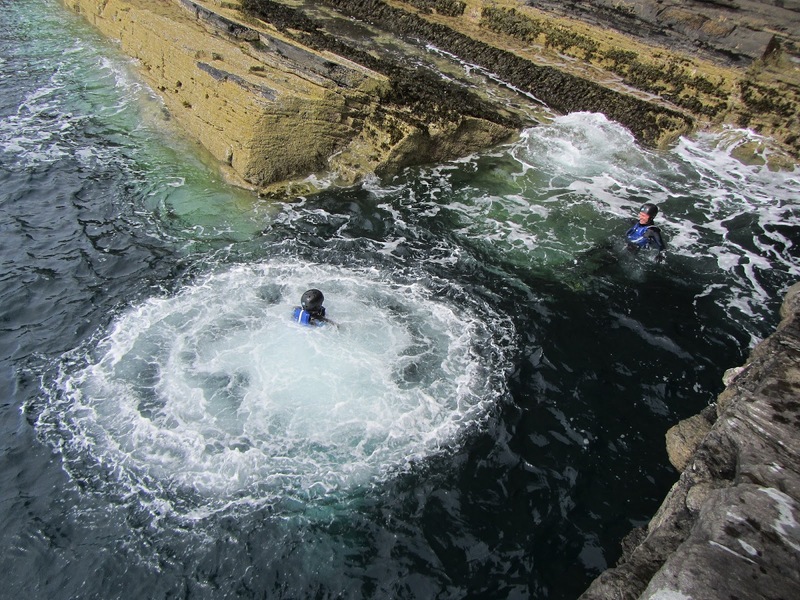 here's a pic I just found from the other family Coasteering session on Wednesday. 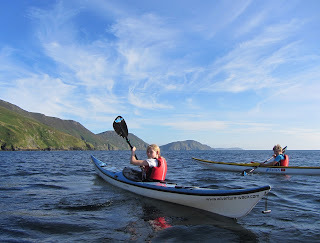 Been in touch with the Youth Scholarship team undertaking their 3 week expedition in Vancouver Island, where they have been trying to out-manoeuvre the NW Gales during their paddling section, around Cape Scott, the North West tip of the Island. 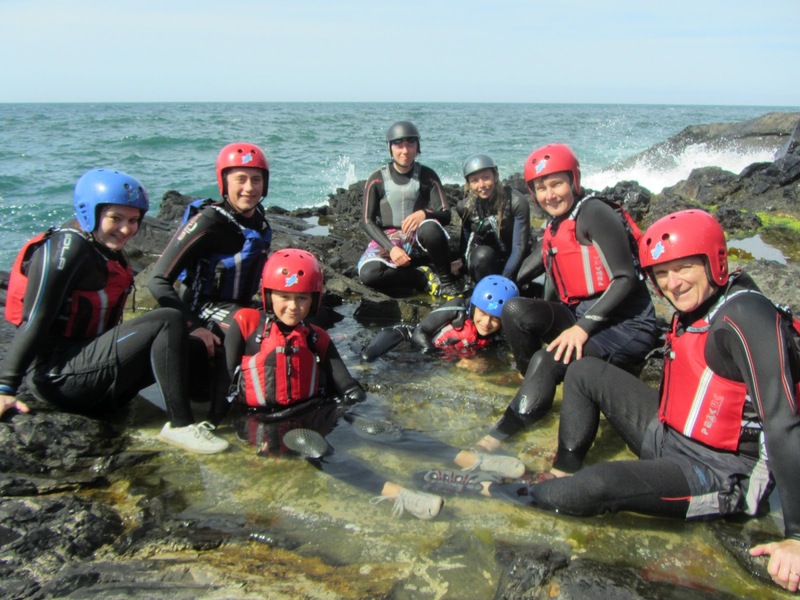 Sounds like Sam, Becca, Kim and the rest of the Team are having a brilliant time! Having completed the Sea Kayaking section, they will now move onto Mountain Walking. The whole expedition is self-sufficient, predominantly wild camping.